Challenge yourself to an experience unlike any other. 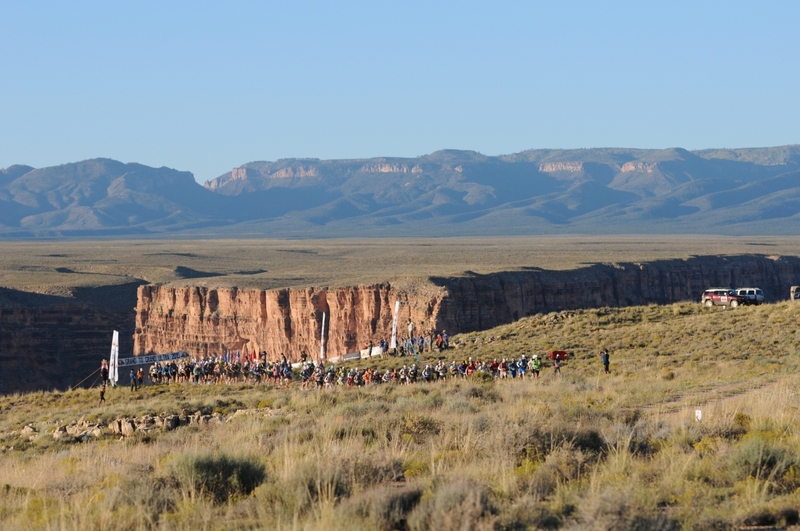 Running from the rim of the Grand Canyon to the summit of the Grand Staircase you will discover new strengths and lifelong friends running in the remotest part of America. 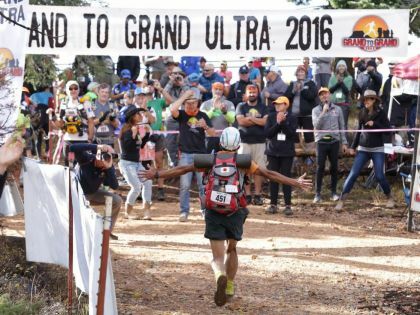 Grand to Grand has become a legendary feat of endurance. I had zero experience stage racing when I registered for the inaugural Grand to Grand Ultra in 2012, on assignment for Trail Runner magazine. 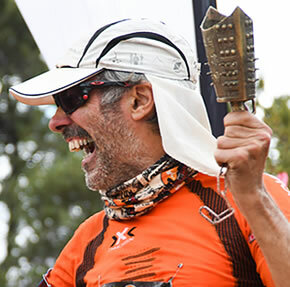 I did, however, have a decent amount of experience as an ultra-distance trail runner, and through ultras I began to develop what’s arguably the most important trait to finish a self-supported stage race: mental toughness. Wonder Woman Jax here with some tips about the daunting task of dialing in your race pack for a self-supported stage race. The thought of carrying everything you need to survive on your back for 7 days is scary. Let alone taking on 150-171 miles in rugged terrain and in aggressive temperatures. Imagine this: Yesterday, you ran a marathon-length trail route that beat up your quads and blistered three toes. Today, you’re up for another 25 to 30 miles on an unfamiliar stretch of treacherous trail. Tomorrow, the real fun begins. Running with a loaded pack, in high altitude and extreme temperature, you’ll go another 50-some miles. Digital Detox - (noun informal - a period of time during which a person refrains from using electronic devices such as smartphones or computers, regarded as an opportunity to reduce stress or focus on social interaction in the physical world). Do you sleep with your smartphone or tablet by your bedside? Do you check your email, Facebook page or Instagram the moment you wake up? Do your family members implore you to look up from your phone? You might need a digital detox. 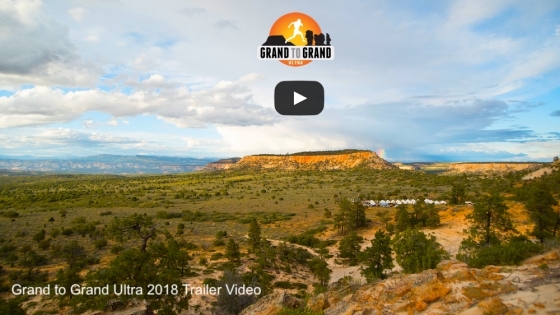 One magical aspect of the Grand to Grand Ultra is the camp. Each morning, the camp is erected in a unique location in readiness for the arrival of our competitors. 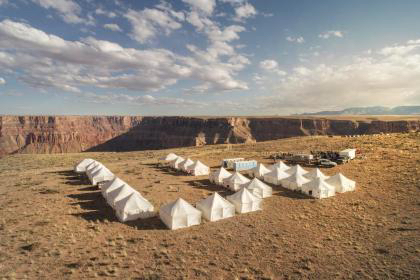 The camp comprises large stand up tents, each of which accommodates eight competitors, as well as the medical tent, cyber-tent, hot and cold water supplies and clean, comfortable portable toilets. 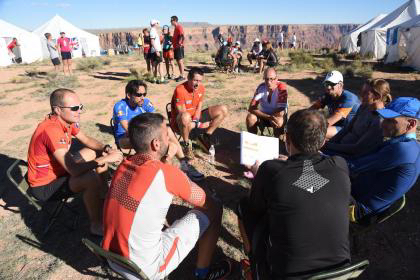 Preparing for a self-supported, multi-stage ultra-marathon can be overwhelming. How many miles should I run each week during my training? Should I walk during training?